Ask any wine amateur about aging wine and they’ll tell you that it’s something to do with taste, but is that all there is? We’ve all heard the phrase “wines get better with age”, but not a lot of people know what that entails. The concept of old wines and new wines have always been a part of what makes the wine either taste flat or amazing. But can the aging of a wine really have such an effect on taste? 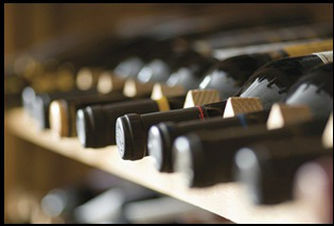 Now, wines weren’t originally made to last, as displayed by the fact that only 3% of the wines in the market are aged. But the reason why these wines are so sought after is because, while some wines are fine being taken just as they are; others are aged to get them to reach its full potential. Not all wines can be aged; but those that are, exude taste in full glory. If you want to age a wine, you have to factor in its acidity and tannins. The flavor of the wine can flatten over time. For instance, if you ever see an aged wine that states they’re closed down or expressive, then understand that the taste will not suit your needs. While a lot of white wines are best when they’re consumed new and fresh; other full-bodied wines that are aged become very honeyed and nutty in taste. Certain wines hit just the right spot for those who prefer a tangy acidity or fruitier taste of the newer wines. In this case, aged wines might not best suit their needs, since with time; mature reds can mellow the bitter tannins and bring out the subtle and earthy flavor of the wine. If you want to collect wine, having a proper cellar for your wine is imperative. Around the world, there have been wines that have been aged and cellared for thousands of years. And while we are not asking you to do the same, having a proper area for your wine is the best way to make sure that your wine has a safe place to be stored in. 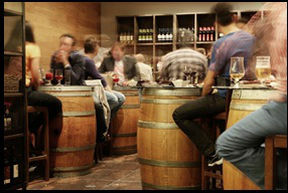 Here at Montemaggio, we receive many customers who love our Torre Di Montemaggio which is one of our best Tuscan wines. Aged for about 15-18 months, this organic red wine is a delicacy. However, if you would like to know more about our wines, visit Montemaggio and find out more about the wonders of aged wine from those who love it with a passion.